The short answer is 17th century France. The long answer is rooted in artistic, political, and cultural history which we now impart to you. Here follows a brief history of the gallery wall. If you’ve been on Pinterest in the last couple years, you know grid gallery walls are all the rage. But those perfectly crisp lines aren’t always the easiest to achieve. Enter the Mini Collection. From your professional photoshoot for the holiday card to the daily candid you snap with the kids, displaying family photos makes a home feel warm and centers it on what matters most: the family who lives there. Our new collection of gallery walls are so easy to hang, you can do it by yourself in less than 10 minutes. Video proof included. High impact. Low drama. Our new line of gallery walls are gorgeous to look at and easy to hang. An up-and-coming style, The Stack is effortlessly cool. Show-stopping gift for mom? The Half Wall Grid. After renovating her childhood home, Veronica surprised her mom with an incredible gift: a gallery wall of family photos, all taken on the house’s front steps through the years. Our new gallery walls are so easy, all you have to do is pick your photos. 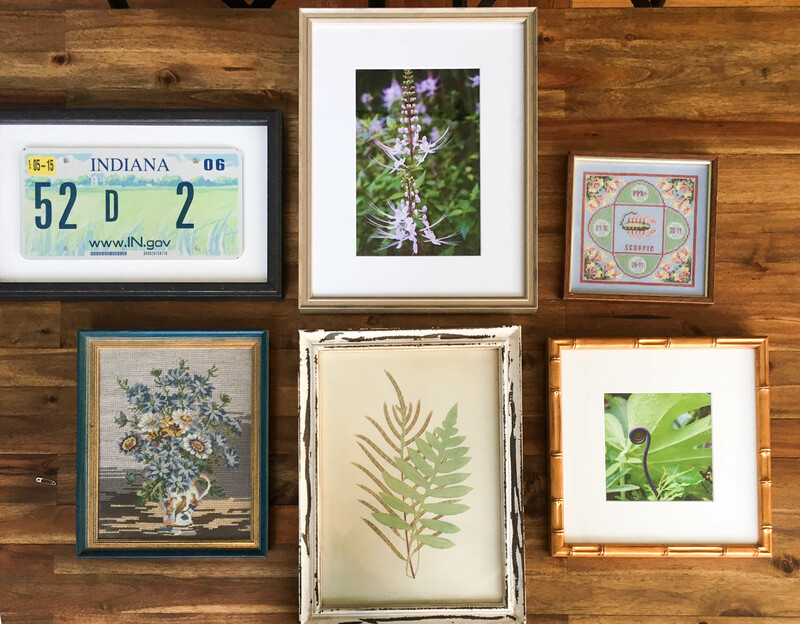 To help you select photos you really love, here are some expert tips from our resident photographer, Veronica Sequeira, on which types of photos work best with each of our gallery wall arrangements. First and foremost—don’t stress! Remember when hanging a gallery wall that it doesn’t have to be perfect. Gallery walls are here to stay, but let’s face it: your home is a unique space with its own charms and challenges. Here are five easy gallery wall styles, one of which is sure to fit the space you have in mind and your personal style. From choosing to measuring to hanging, we have you covered. The gallery wall trend is here to stay, but with so many iterations on the classic salon style gallery wall, it can be hard to find the right combination for your space, budget, and style. Meet the grid gallery wall. Grids are a beautiful way to display a collection of photos or art. Matching frames and consistent sizing create a harmonious display that is about as perfectly polished as it gets. To get started, figure out where you'd like to hang your pieces. Some of our favorite spots are corners and between windows. Once you've figured out where you want to install your gallery you're ready to get started. A big, eclectic gallery wall in the Framebridge office featuring our Irvine Slim, Mercer Slim, Bali, Mandalay, and Richmond frames.